The European Commission disagrees with the European Parliament’s stance on MiFID II’s organised trading facility regime, believing that the new classification should encompass equities traded on broker crossing networks. The European Commission disagrees with the European Parliament’s stance on MiFID II’s organised trading facility (OTF) regime, believing the new classification should encompass equities traded on broker crossing networks (BCN). 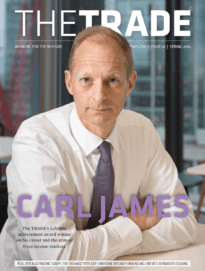 Speaking at the TradeTech Liquidity conference in London on Thursday, Jasper Jorristma, policy officer, securities market unit for the European Commission’s internal market and services unit, said he was “uncomfortable” about criticisms labelling OTFs as venues that are subject to less regulation than regulated markets or multilateral trading facilities. The Commission first introduced OTFs in its initial draft of MiFID II as a way of capturing BCNs, which are not formally recognised in the first version of the directive. In its final version of MiFID II, which was voted through last month, the European Parliament rowed back on the Commission’s proposal, recommending instead that OTFs be used for non-equity instruments only. The Council of the European Union, which is currently conducting its own reading of MiFID II, is leaning towards the use of OTFs for all asset classes. Jorristma also said the Commission was in favour of removing the mid-point reference transparency waivers, which allows dark pools to forego the publication of pre-trade prices as long as they match orders at the mid-point of the prevailing market price. Among the dark pools that currently use the mid-point reference waiver include the two dark pools operated by BATS Chi-X Europe, UBS MTF and London Stock Exchange-owned Turquoise Dark. After the Council has completed its work, it will reconcile its version with that of the Parliament, with input from the Commission, in a process known as the ‘trialogue’. Jorristma said while the aim was to reach political agreement on MiFID II before the end of this year, the Council is only likely to complete its work by Q1 2013. A discussion that immediately followed Jorristma’s speech looked at the European regulatory process, stressed the need for improvement in how new rues are formed and urged more cohesion in the industry’s lobbying efforts. 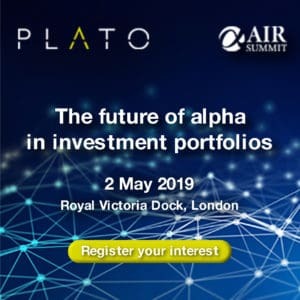 Christophe Roupie, global head of trading and securities financing at AXA Investment Managers, added there was a “clear disconnect” between the actual day-to-day trading process and some regulatory proposals. Roupie said AXA had teamed up with Finance Watch, a Brussels-based public interest group, to ensure the buy-side voice was heard among European policy makers. Drawing on his experience in bringing the industry together for the creation of a consolidated tape of European trading data, Mark Schaedel, founding partner of The COBA Project, said a divided lobbying effort among market participants was not helpful. COBA is currently gathering support for a commercial framework for a consolidated tape, incorporating technical work done by messaging standards provider FIX Protocol Limited and exchange trade body the Federation of European Securities Exchanges.